The basic rule is the hotter the weather, the higher you should mow. Higher mowing promotes deeper roots, prevents water loss by shading the soil, and reduces weeds by preventing sunlight from warming weed seeds. Taller grass also cools the soil and reduces heat stress. Be sure that no more than one-third of the total grass blade is removed in one mowing. Mowing too short removes too much of the green part of the plant, leaving stalky-looking crowns and stems. This gives the lawn a brown, scalped look and weakens the grass. 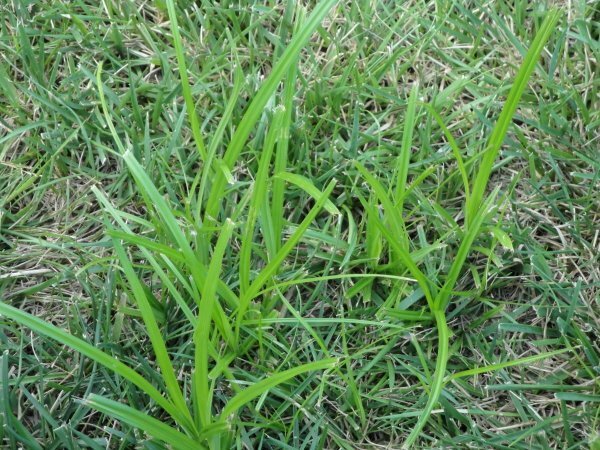 Recovering from even a single “scalping” sets the lawns growth back many weeks. Dull mower blades can rip and shred the tips of your grass blades, turning them a bleached, tan color and leaving the whole lawn looking brown. For best results, sharpen mower blades several times per year. 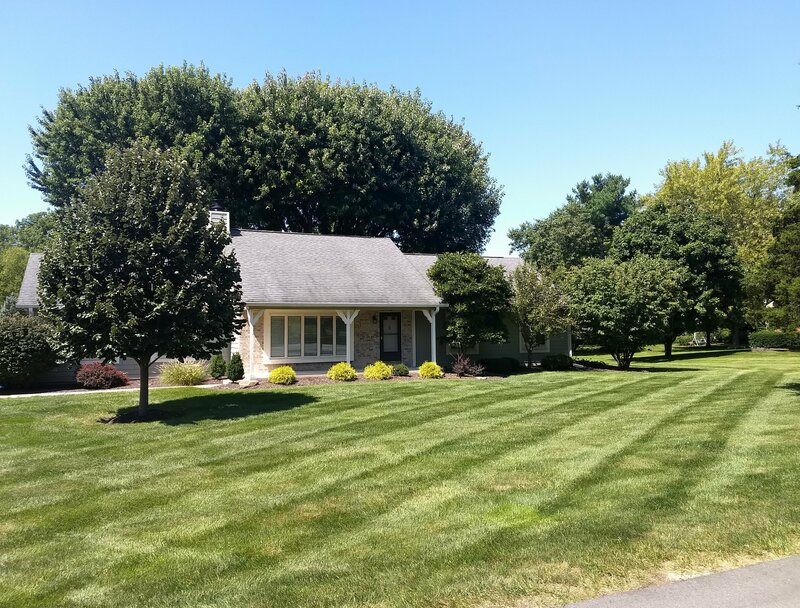 If you have a large lawn, sharpen them once a month during the mowing season. Keeping your lawn thick, green and healthy means doing several things right. One of the most important is making sure there’s enough moisture to maintain growth. Nature’s rainfall schedule is not dependable. Some additional watering is almost always necessary, at least during the hotter and drier parts of the year, to avoid water stress. 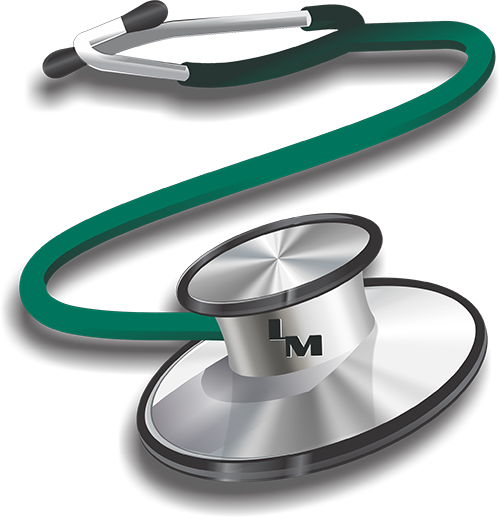 Lawns turn brown, thin out, and run into more disease and insect problems when under water stress. 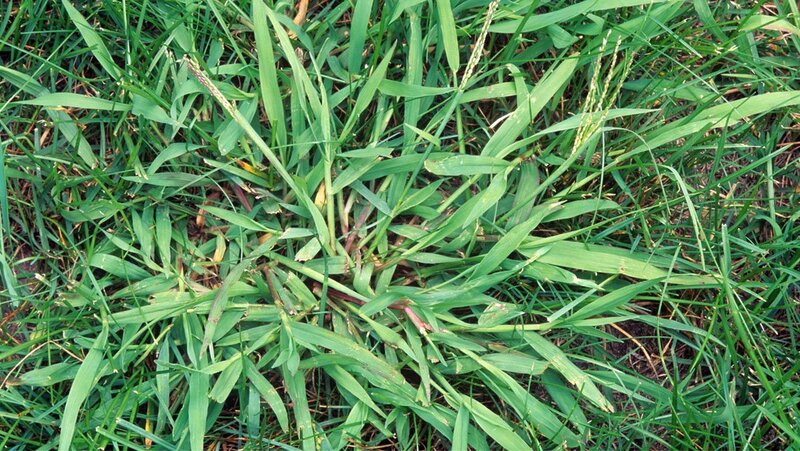 A thin, water-stressed lawn also creates room for weeds to invade. So whether you use underground or portable sprinklers, there are a few basic guidelines to follow to avoid these problems and maintain good lawn health. One basic rule is: Water your lawn when the least amount will be lost. Avoid watering in the heat of the day to make sure your water goes down to the roots instead of going up as vapor. Also avoid watering when windy conditions will affect even watering. When you water, saturate the soil to a depth of 6” to 8”. Frequent, shallow watering causes the grass to send roots to the surface for water, where they suffer more quickly during dry hot spells. Also be sure to put down extra water along curbs and pavement, because these areas heat up much more and dry out much faster. Are your lawn and landscape plants showing the ill effects of dry weather? Often, damage continues to show up for a number of years after a drought. To prevent more trouble, water when rainfall is scarce- and don’t wait! A plant’s root system sustains the plant with the moisture and nutrients it takes in from the soil. For trees and shrubs, as for grass, most roots lie in the top few inches of soil. That means when it doesn’t rain, the root zone dries out fast unless you water. When roots are water-stressed, they shrivel and die, causing plants to suffer. Even if you start watering at the first signs of trouble, such as leaf wilt or tip browning, chances are that damage has already begun occurring to plant root systems. That’s why it’s best to water before plants “tell” you they need help. When moisture does return, plants go into a recovery mode. Lawns will need lots of water as grass plants that survived the drought spread to fill in bare areas left by the death of crowns of some plants. Some lawns will need over seeding or even total renovation if damage is too severe. For larger plants that have been without water, the diminished root system may be unable to supply all health and moisture needs. New shoots and twigs may not be sent out for years, until the root system is once again capable of both taking care of current needs and sending out new growth. Some stressed plants will eventually lose the fight to stay alive, falling prey not only to lingering effects of drought but to insects or diseases that invade stressed plants.